The Commerce & Industry Minister Smt. 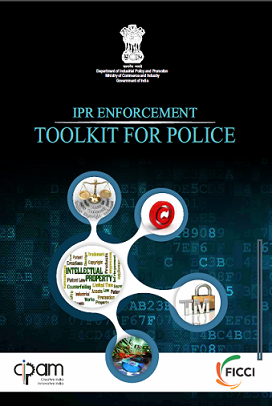 Nirmala Sitharaman launched an IPR Enforcement Toolkit for Police today. The toolkit has been jointly prepared by Cell for IPR Promotion and Management (CIPAM) and Federation of Indian Chambers of Commerce and Industry (FICCI). This toolkit will be a ready reckoner for police officials across the country in dealing with IP crimes, specifically Trade Marks counterfeiting and Copyrights piracy. In addition to details of offences under various laws, it provides for checklists for registering a complaint and conducting search and seizures. It also lays down general guidelines for search and seizure in case of IP crimes. This toolkit will be provided to all state police departments across the nation and will assist them in dealing with the cases relating to Trademarks and Copyrights infringement.